Welcome to Week 12’s Punt, Pass, Play. I hope you and your family had a wonderful Thanksgiving. The Play I suggested last week, Tarik Cohen, did Tarik Cohen things…except for the Thanksgiving game and not when I suggested to play him. Hey, just play the guy I suggest playing the following week. There’s my newest (and humorous) piece of advice today! For this week’s Punt, Pass, Play we have a few youthful wideouts who will start getting their shot as the season and playoff hopes unfold. We are looking at Chris Godwin, Keke Coutee, and D.J. Moore. I’m not with Drake. For me, Keke isn’t riding. I have simply not seen enough from Keke to be playing him this week against a relatively decent Titans pass defense. Let’s also not forget that Deshaun Watson hasn’t thrown over 300 yards since Week 5 against Dallas and has averaged just 195.2 yards per game. 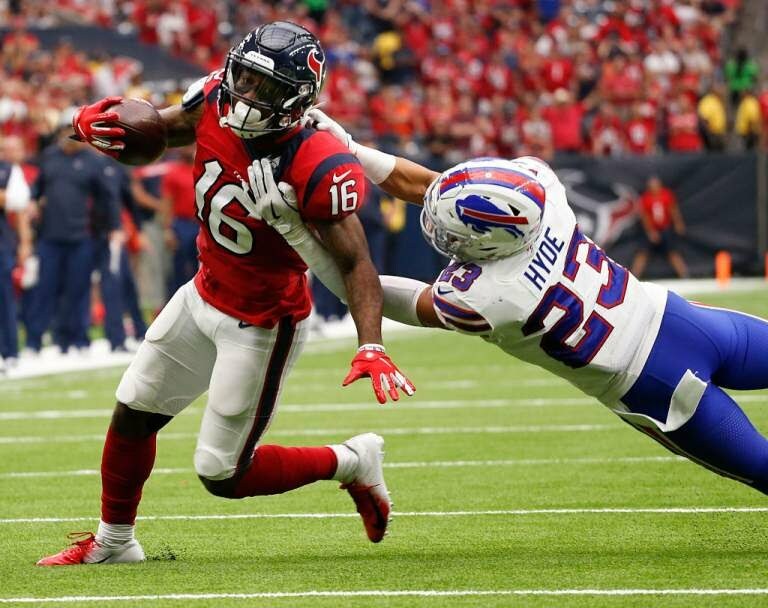 NUK Hopkins has taken the majority of those yards, leaving next to nothing for the rest of the wide receiver corps for the Texans. Also, Demaryius Thomas has put in some time in Houston and may carve out a larger role, thus hindering Coutee’s production. In the long-term, Keke Coutee looks poised to be the WR2 to complement NUK. I don’t think Deshaun Watson will continually struggle like he has this season. Just on opportunity alone, you should consider rostering or buying Keke “on the low-low” (again, I’ll show myself out…). Dynasty-wise, keep Coutee or bundle him in a deal using the same logic explained here. I’m very excited about Chris Godwin as the season progresses, but I’m more excited about the 2019 season. Right now, there are a lot of mouths to feed in Tampa Bay even with O.J. Howard on injury reserve. That opens up more touchdown opportunities even in the wake of Cameron Brate getting a bump in fantasy and the San Francisco 49ers ranking 15th in pass defense. However, the quarterback play is so boom or bust in Tampa Bay, the risk, to me, isn’t worth risking a starting slot on Godwin, especially if you are just on the outside looking in on a playoff run. Buy, keep or sell extremely high. Adam Humphries has proven to be a decent slot option, but Godwin will be thrown in as the WR2 after DeSean Jackson departs this season. It’s no secret that he has remained unhappy in Tampa Bay and it’s his time to chase a Super Bowl ring given his age. Godwin has shown flashes of dominance and in the red zone. 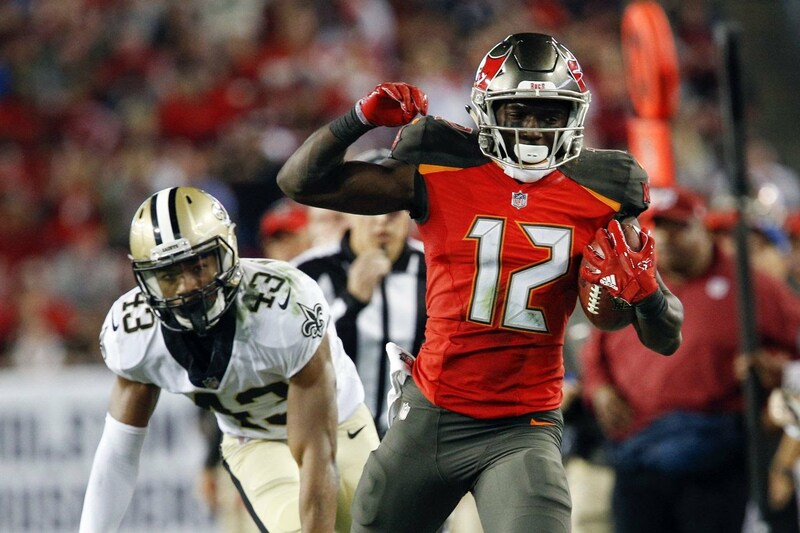 With (or when) the right coach comes to Tampa Bay, the Bucs have a solid foundation to support both Mike Evans and Chris Godwin in their offense in the 2019 season. D.J. Moore finally broke loose last week. Even though the Seahawks are a top 11 pass defense, Cam Newton won’t allow his team to just lose playoff hopes, and D.J. Moore is the cog to that offense with Devin Funchess banged up and struggling lately. This places Moore in the driver’s seat and places him in a mid-risk/high-reward play. Keep Moore in mind the rest of the season as the schedule is pretty pass-friendly. D.J. Moore is one of the more promising receivers out of this draft class. 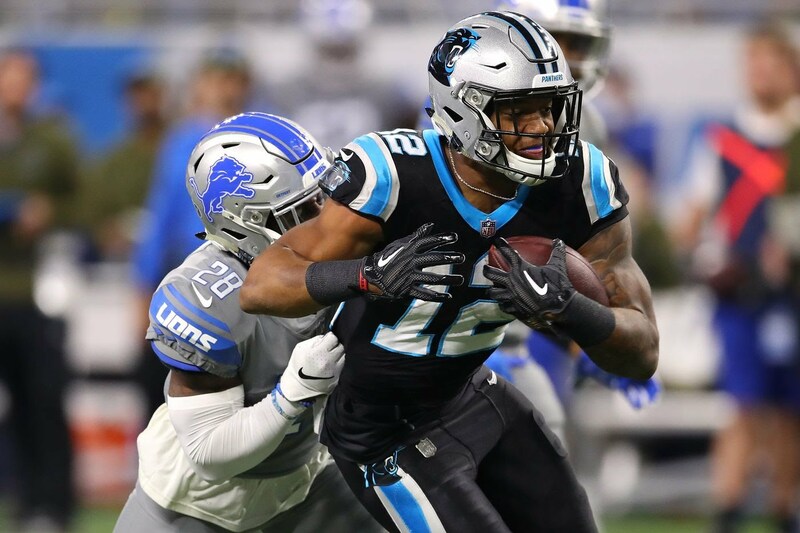 While we cannot say for sure about his long-term value, we do know that his situation and opportunity is pretty friendly given that Olsen is nearing retirement and Devin Funchess has underwhelmed. This will have Moore put into the de facto WR1 starting the 2019 season. Buy Moore if you can and hold on to him if you already own him. Chances are you used a first on him in this year’s draft so he’s worth the stash anyhow unless someone is willing to buy high. To summarize this week’s Punt Pass Play, Keke Coutee won’t have many opportunities with NUK handling most of the yards (which isn’t much) out of the Texans offense. Chris Godwin is very exciting and very skilled. I just can’t buy into him as frequently this season as I can the next season. D.J. Moore has the greatest opportunity even against a decent Seattle pass defense. Cam will find ways to continually get him involved given last week’s showing. For more fantasy advice, add me on Twitter (@ricco_3733) or ask via email at Riccadonna3733@hotmail.com. Until then, I’ll see you for the Week 13 edition of Punt Pass Play!